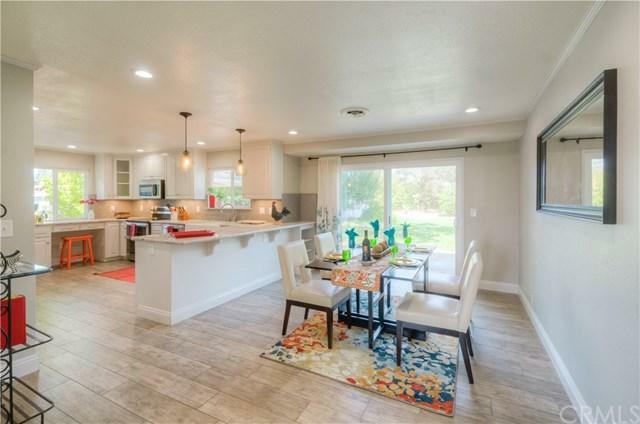 This compelling family home has recently been remodeled and is ready for a new family to love and enjoy. 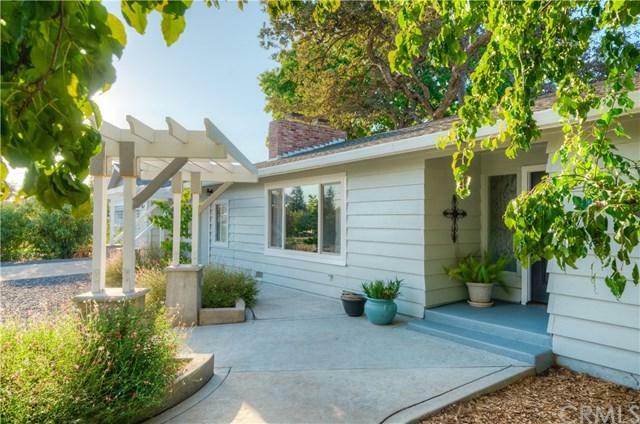 In a wonderful location, this beautiful home sits on a landscaped and nearly half acre lot, has 13 fruit trees, a circular driveway and an attached two car garage as well as two additional garage/shops in the expansive backyard. One of the buildings is 24x40 ft. and both of them have easy vehicle access with roll-up doors that would accommodate at least 3 additional covered parking places. Also plenty of room to park recreational vehicles on the driveways located on each side of the house. The out buildings could be used in many ways and could possibly be converted into additional living spaces. 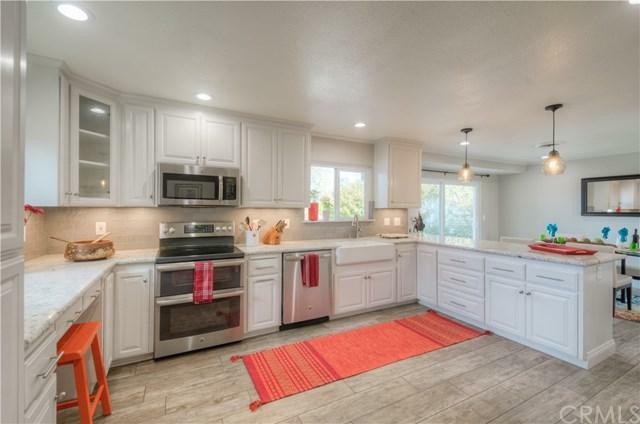 The beautiful and large newly remodeled kitchen is complete with an abundance of custom cabinets, counter tops and a large farm-style sink. Beautiful tile plank flooring has recently been installed in the kitchen, dining area, living room and hallway. There are also 14 installed and seller-owned solar panels. An enclosed breezeway provides additional living space and has a large sliding door to the backyard patio area and pergola. Recently painted inside and out, this wonderful and spacious home and property was designed to comfortably enjoy life with family and friends. 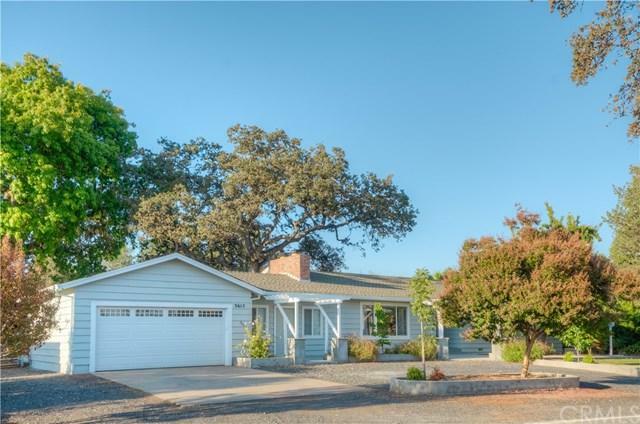 Truly a very special property and is located not far from town or Lake Oroville for recreational activities. Sold by Mark Wisterman of Realty World Best Realty.